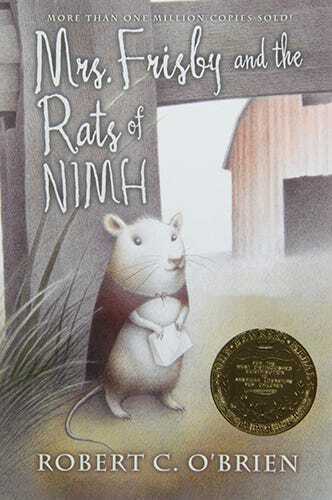 Mrs. Frisby, a widowed mouse, must move her family or face death. Unfortunately, her son Timothy is ill and can't be moved. She seeks help from the brilliant rats of NIMH. The solution in the "Mrs. Frisby and the Rats of NIMH" book is worth the read.